New research from the University of Adelaide has concluded that there is no greater risk of Salmonella contamination in the production of free range eggs due to hot summer weather. 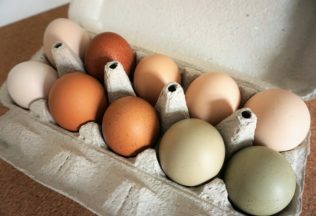 Despite there being a higher number of cases of salmonella poisoning from eggs during summer, the researchers said the egg production process is not to blame. Blame is instead being placed on hygiene practices around egg handling in the supply chain and once the eggs are in commercial kitchens or households. “Birds raised in the free range production system could potentially be exposed to weather extremes, and the free range environment is not as easily controlled as in cage egg production. Therefore, it has been assumed that hot weather has a role to play in the potential contamination of eggs at the site of free range egg production.Our results show that the types and levels of Salmonella found in and around free range egg farms, and on the eggs themselves, is highly variable, often dependant on the specific husbandry and management practices employed by each farm,” he said. “However, we found that there was no direct association between hot weather and increased prevalence of Salmonella at the production stage, even when data was collected in the hottest month of February,” Associate Professor Chousalkar added. Chris’ Dips is now selling cracker and dip snack packs through Woolworths supermarkets.